We can also facilitate non riders on these trips, please contact us for non riding rates which are slightly lower. 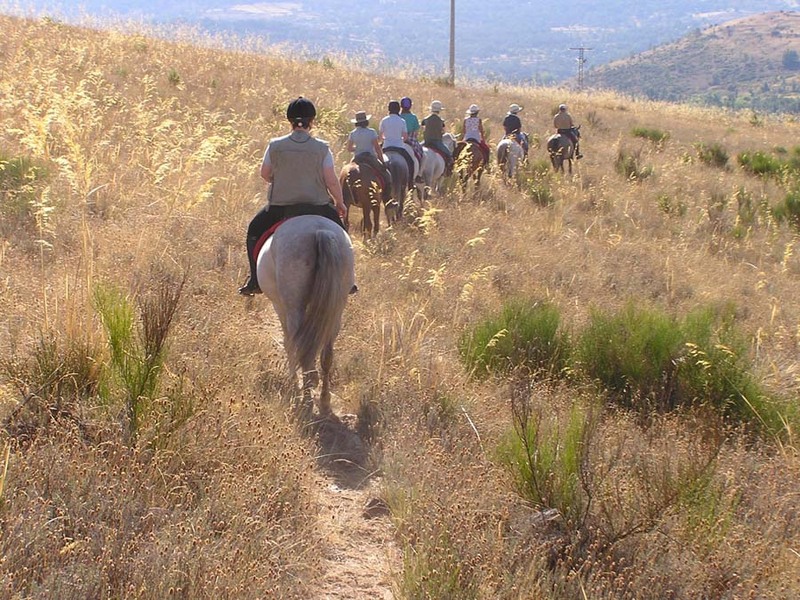 Included – All riding, full board accommodation, aperitifs, wine and beer at meal times and transfers. International flight to Barajas airport, Madrid. 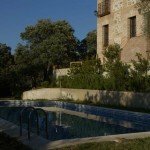 The transfer is included in the price and you will be picked up no later than 3pm at the airport. On departure you will be dropped off at the airport midday. 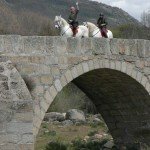 Join Emilio Rodriguez on a Spanish riding holiday of a lifetime through the stunning Gredos Mountains in central Spain, 3 hours drive west of Madrid. He’s an expert horseman originally from this area, who has ridden all over the world and uses sympathetic techniques to train his herd of beautiful Andalucian and Hispano-Arab horses. 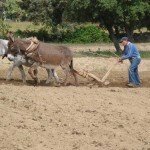 You’ll find them happy, confident and forward going mounts, that love their owner and enjoy their work. 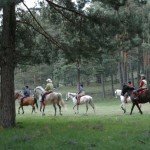 There are a variety of different moving trail rides available throughout the year, which have been very well researched, and the most popular of them is the Castles of Gredos. 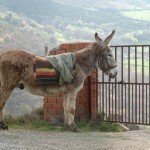 It’s also Emilios favourite, possibly because on the 3rd day, you arrive in the town of Barco de Avila where he was born. 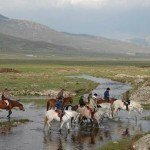 Here, he’ll recount stories of him and his brother riding their horses, Cuco and Rifeno, rounding up and moving their grandfathers cattle. 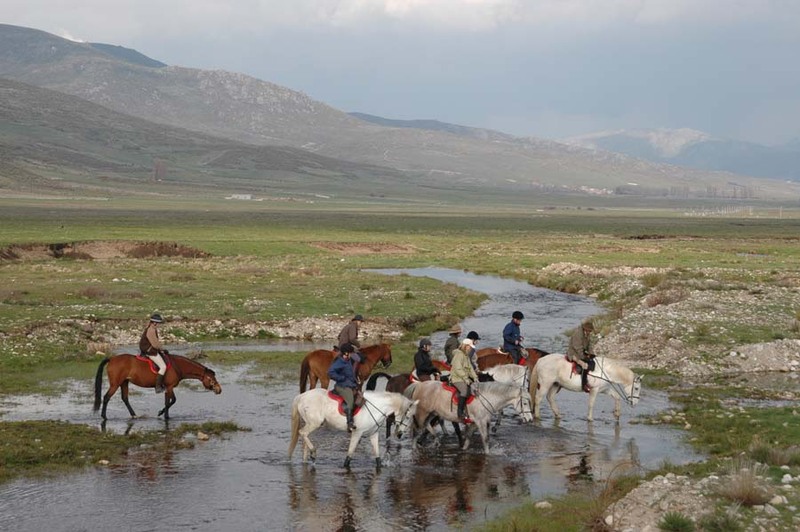 The riding through the mountains is beautiful and you’ll enjoy a mix of pace, including lots of cantering. Lunchtimes are joyous, with tasty picnics offering fresh baked bread with local cheese and hams. 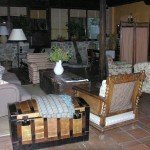 In the late afternoons after crossing through rivers and riding through villages, you’ll arrive at your very comfortable, locally owned hotels and enjoy a typical Castilan dinner, accompanied by great Spanish wines. 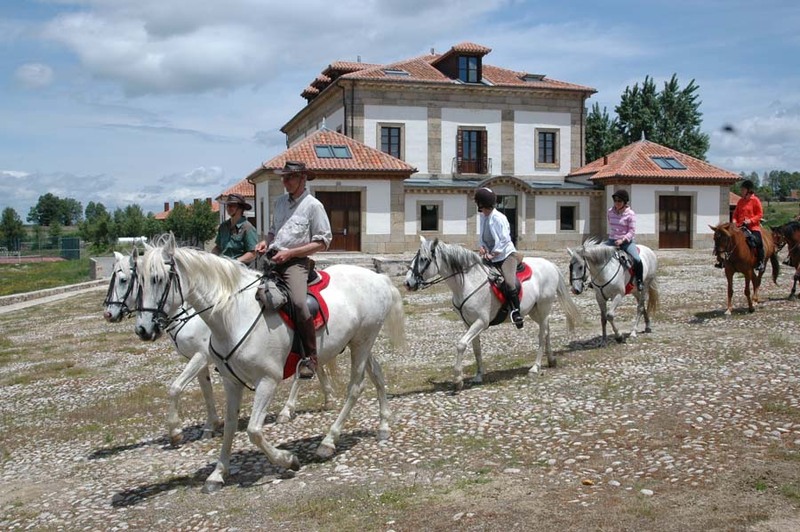 Gredos : Horses – Andalusians and Hispanic-Arabs, which Emilio has bred himself, broken and trained. 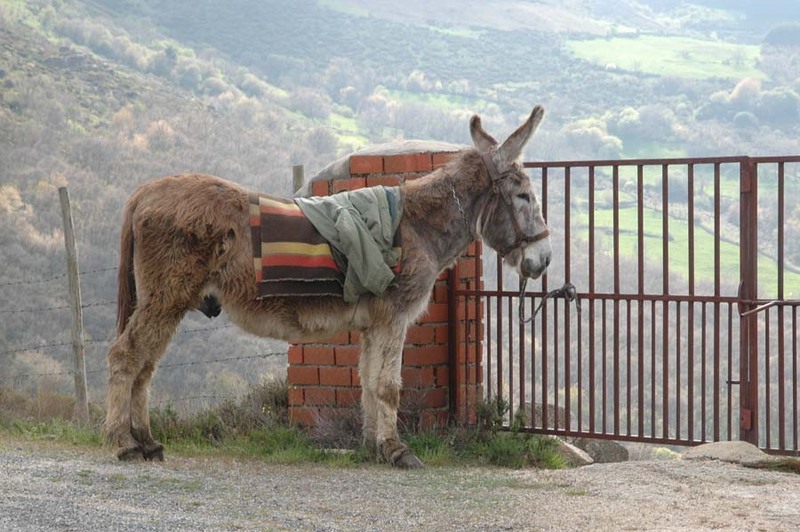 They range in size from 15.2hh to 16.2hh. 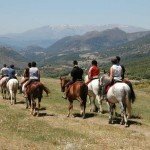 Gredos : Level of Riding & Pace – Intermediate to Advanced. Tack – English saddles, with leather seat savers and mostly snaffle and rubber pelhams. 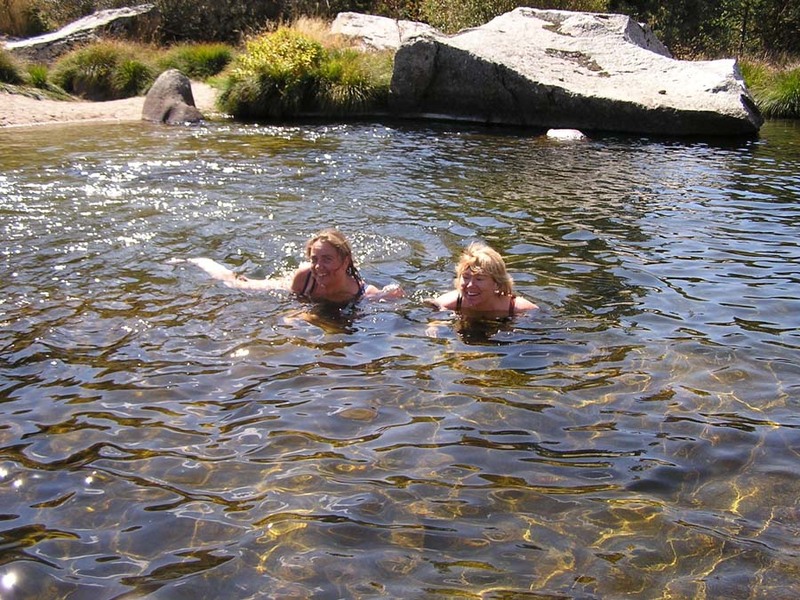 Gredos : Weight Restriction – 14 stone / 198 lb / 90 kg. 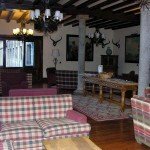 Gredos : Group Size – Maximum 8. 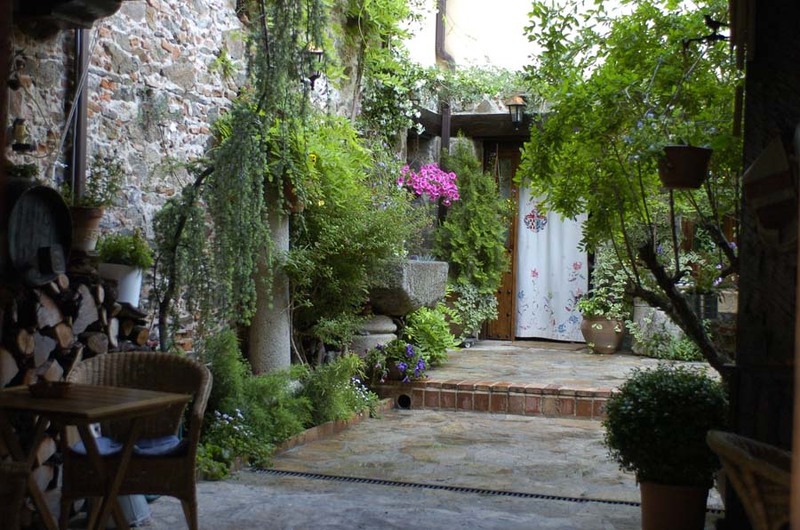 There’s a real mix of accommodation, some are rustic guest houses and others luxurious hotels. 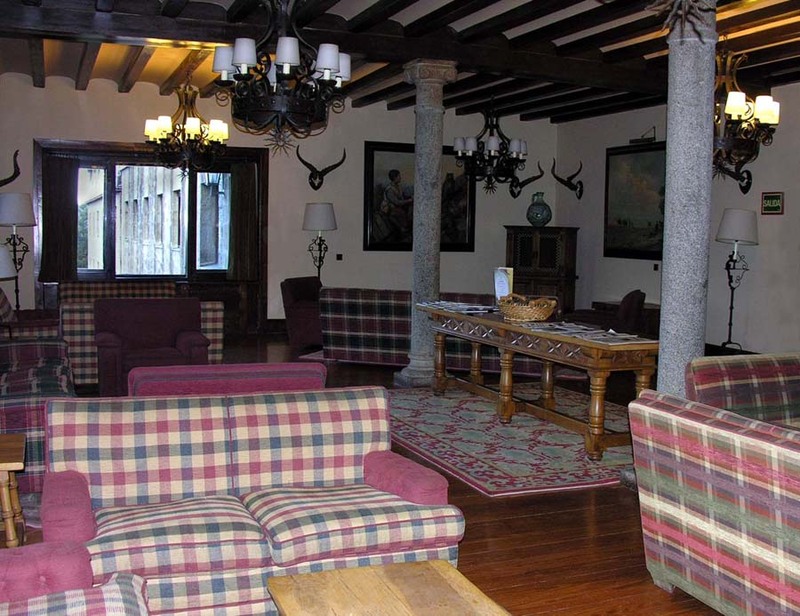 All of them offer really comfortable rooms with ensuite, a warm welcome and great castilian food. 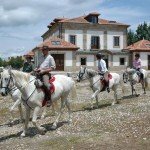 Horse Riding Holidays like our Gredos riding holidays are part of the Zara’s Planet collection of Horse Riding Holidays Spain. 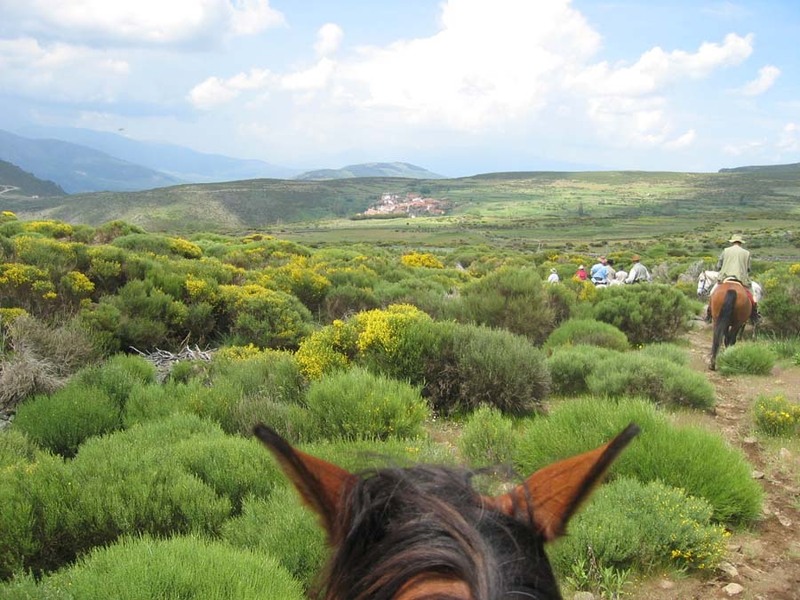 A relaxed and comfortable ride with 4 of the nights spent at the same hotel with varied day rides out through the wild landscape of the Gredos Mountains. 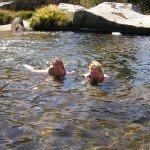 Lunches are picnic style, often followed by swimming in the crystaline waters of the rivers that flow off the mountains. 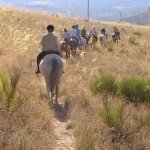 And to add a little adventure, during the week, there is a trail ride over to the a neighbouring town in the Tormes Valley, where guests stay for one night. 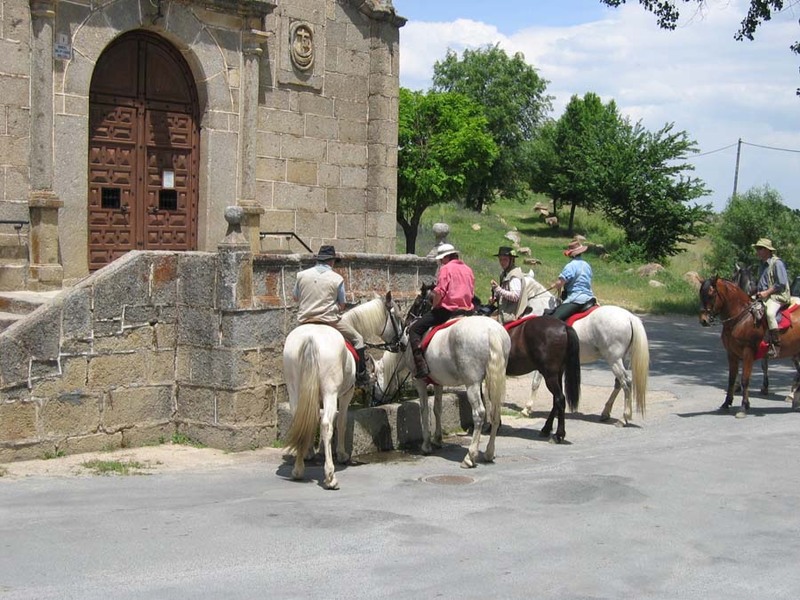 The ride starts in Navarredonda to the charming town of Salamanca, home to the oldest university in Spain. 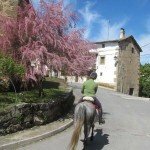 You ride in the Sierra de Candelario and Sierra de Bejar, a very lush area with its microclimate, then follow the Tormes River further north. 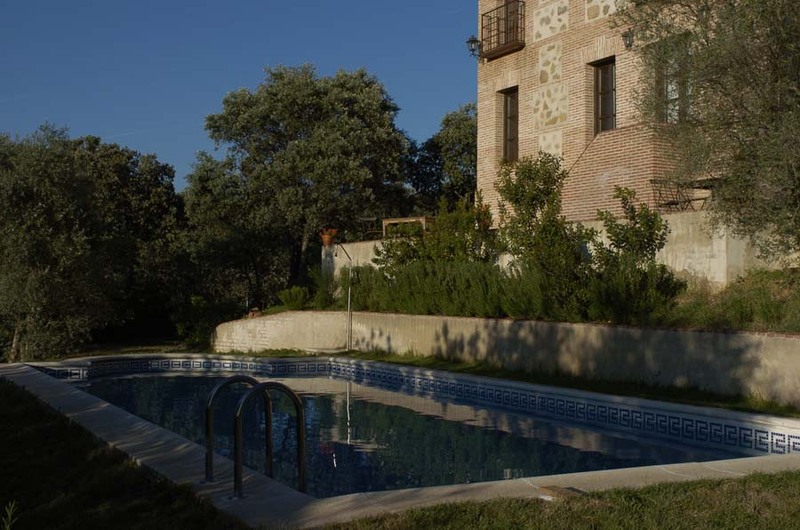 The predominant landscape is holm oak where you’ll see the famous, local black bulls. 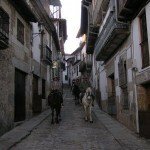 Trujillo (Extremadura) is a Spanish city located in the province of Cáceres, in the Extremadura region; famous for its monuments. It was the birthplace of Francisco Pizarro and his brothers, conquerors of Peru, as well as of Francisco de Orellana, who accomplished the first descent of the River Amazon. Pizarro’s equestrian statue stands in the Plaza Mayor, or main square. 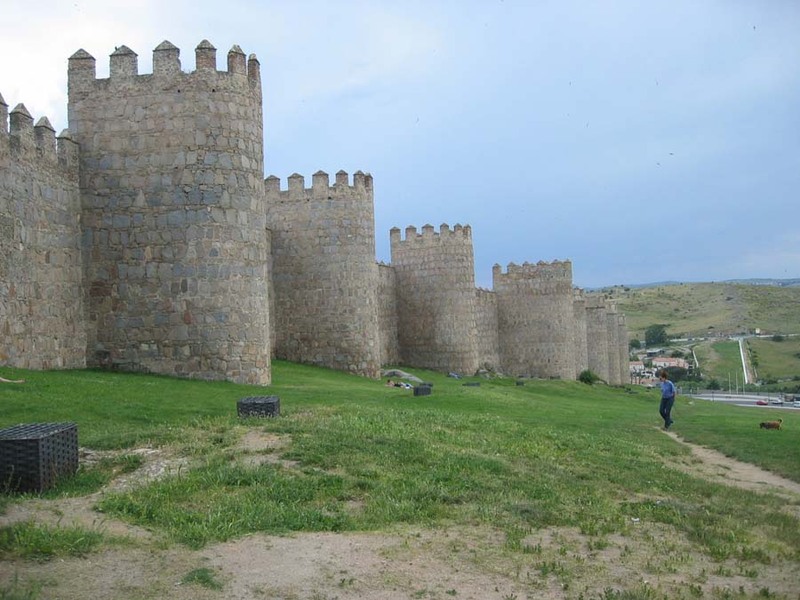 The most important monuments are the castle (old Arab fortress IX century), the church of Santa María (XIII century). Some Trujillanos went to America to discover new places. 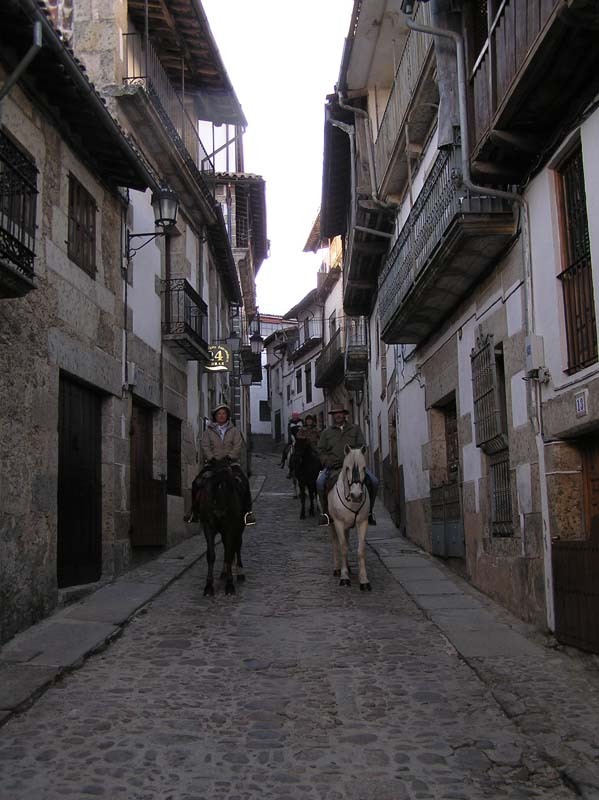 When they come back, they built majestic palaces near the Plaza Mayor and surrounds, most of them can be visited today. Francisco Pizarro came back and helped enrich his family in the Plaza Mayor. His daughter from an Incan princess returned at 18 to marry her uncle and lived the rest of her life in Trujillo as a lady of great estate. 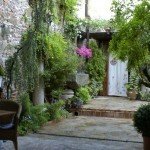 Guadalupe is located in the region of the Villuercas (Cáceres) in Extremadura, Guadalupe is a historic town of cobbled streets, traditional houses and monuments of great value, the Sanctuary Monastery of Guadalupe, is a World Heritage site (UNESCO). 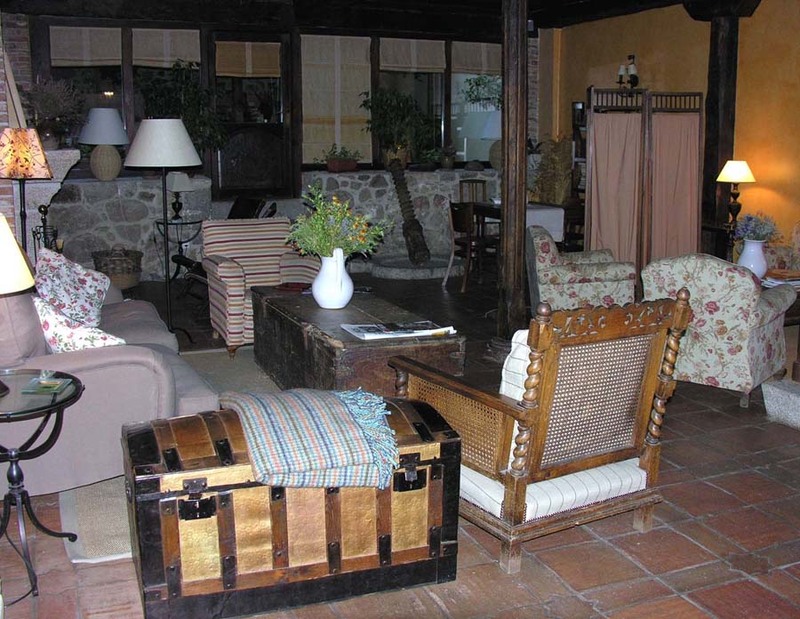 Another attraction of the area is the delicious cuisine of Extremadura. 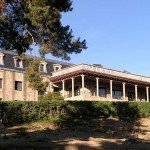 Declared a World Heritage Site in 1993, the Monastery was commissioned in the fourteenth century by King Alfonso XI of Castile, in gratitude to the Virgin after his victory in the Battle of Salado, in the year 1340. Since its founding, it’s become a major pilgrimage destination on the peninsula Ibérica. It was also the scene of important events, including the audience granted to the Catholic Kings Christopher Columbus to give him the ships that would allow start heading to America. 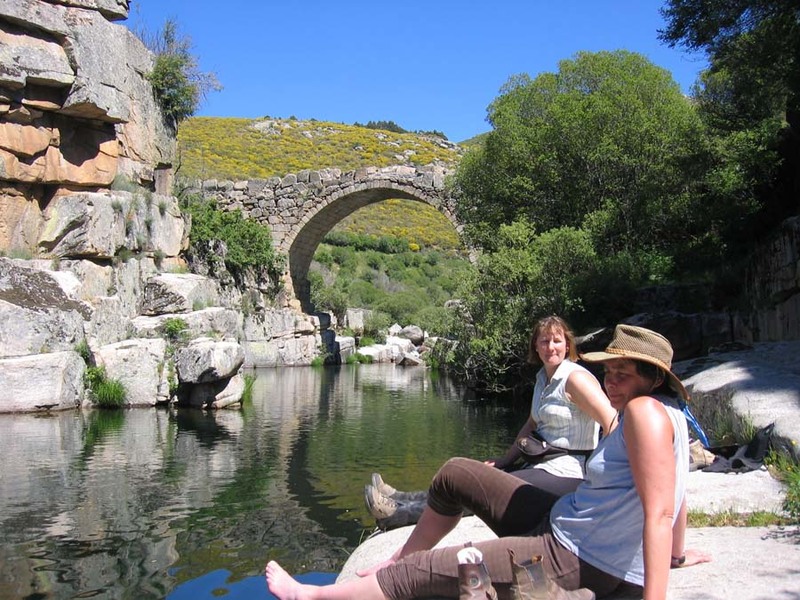 The largest and best preserved Mediterranean forest in the world lies within Monfrague national park, surrounded by hills and dotted with rocks and streams. 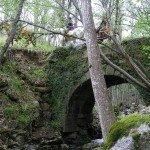 Monfrague was declared a UNESCO Biosphere Reserve in 2003 and takes its name from the Romans, who called it Mons Fragorum – the fragmented mountain. 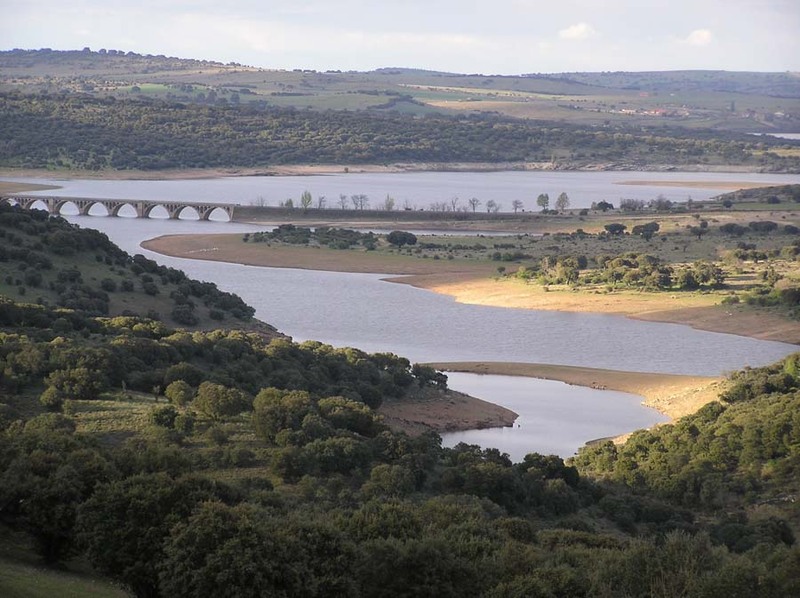 Difficult to access and covered by scrub land, this typically Iberian landscape is home to a diverse mix of flora and fauna. 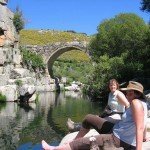 The most popular bird watching spot is Salto del Gitano – a 300m cliff above the Tajo river where black storks, vultures and imperial eagles nest. 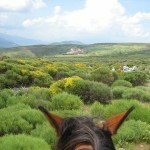 This ride follows 200km of these Canadas Reales, from Trujillo to Navarredonda de Gredos, crossing three regions of Spain – Extremadura, Castilla la Mancha and Castilla y Lyon. 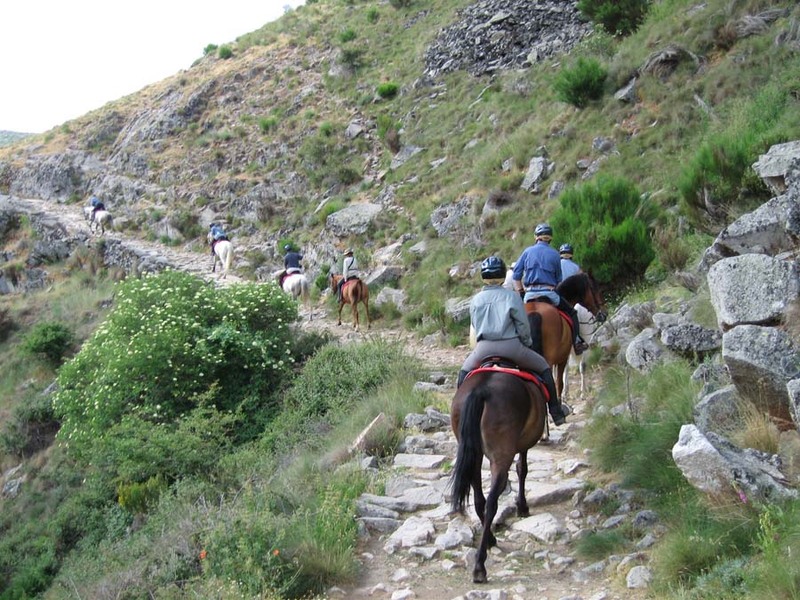 All above ride itineraries are available in full on request. 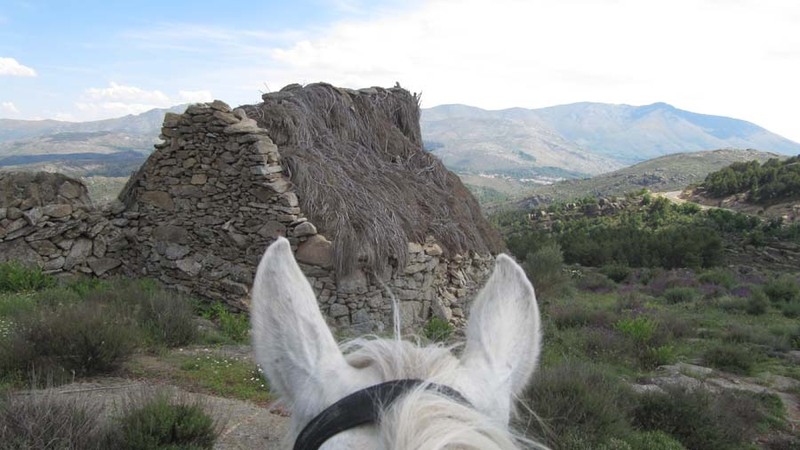 Castles of Gredos Mountains – This is Emilios favourite ride because on day 3 you ride into the village where he was born. Meet at Madrid airport, transfer to Navarredonda 2 hours drive. 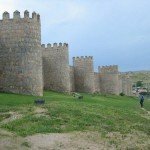 Stop in Avila for a short visit. 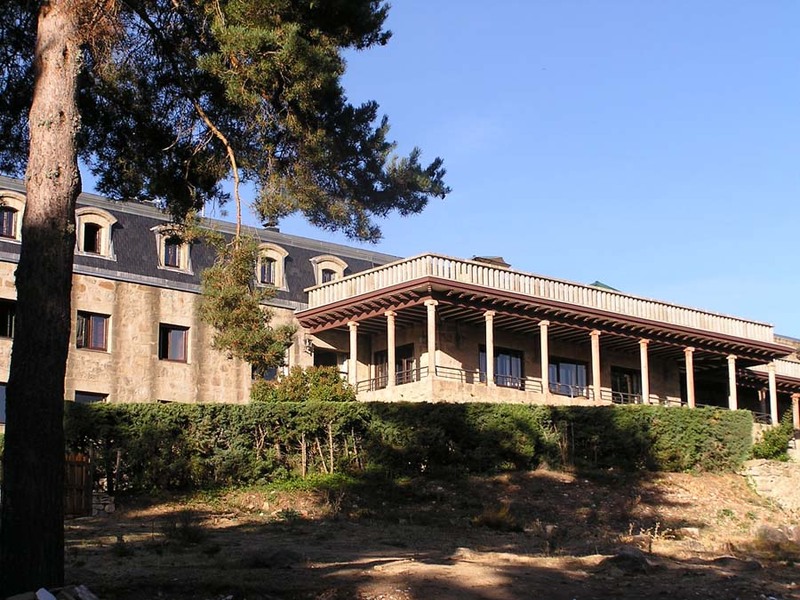 Enjoy welcome dinner at the National Parador hotel of Gredos. 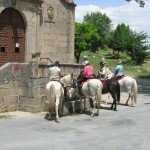 You mount will be chosen to suit your riding request and ability and you will spend a day riding through the Tormes valley. Lunch at a fisherman´s hut enjoying an excellent paella. Night and dinner at hotel. 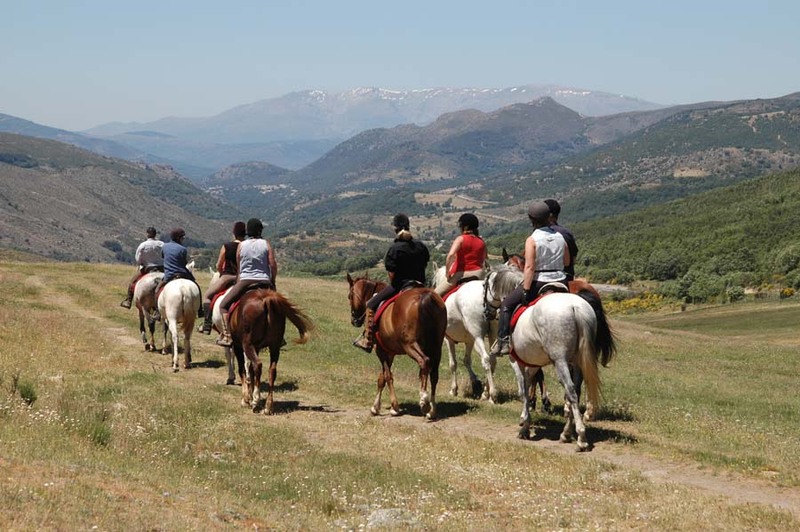 This is the longest day and offers the most beautiful views of the Gredos Mountains. 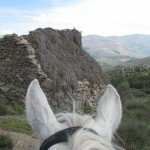 We ride to the top of the valley riding through small and remote shepherd villages with lunch at Lastra del Cano. 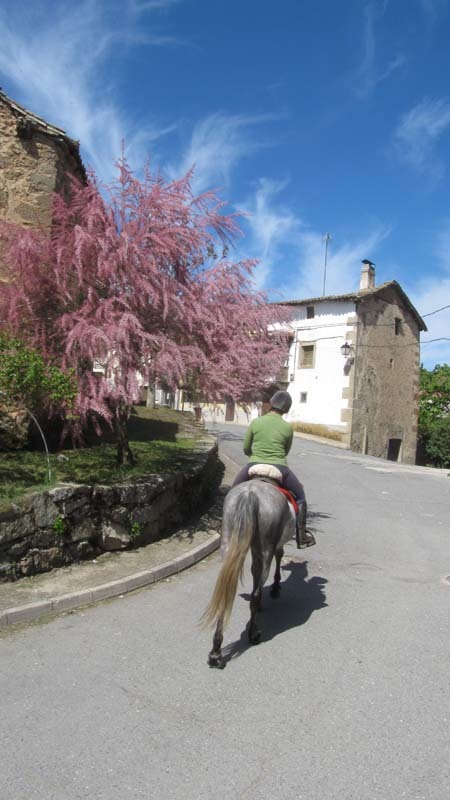 The afternoon is spent riding down the valley to Barco de Avila. Night and dinner at hotel. 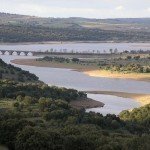 Today we cross the Tormes River by the Roman bridge in Barco de Avila and will go to Salamanca province, a flat and dry area. 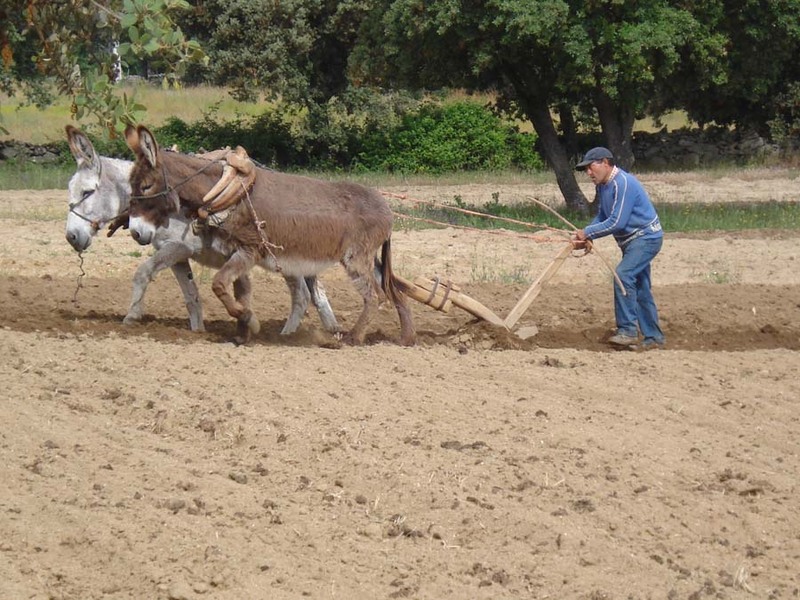 This is a very rural region with fields separated by stone walls where you can still see local farmers riding donkeys. Lunch by the river, the fast, long canters in the afternoon. Night and dinner at a very nice rural inn. 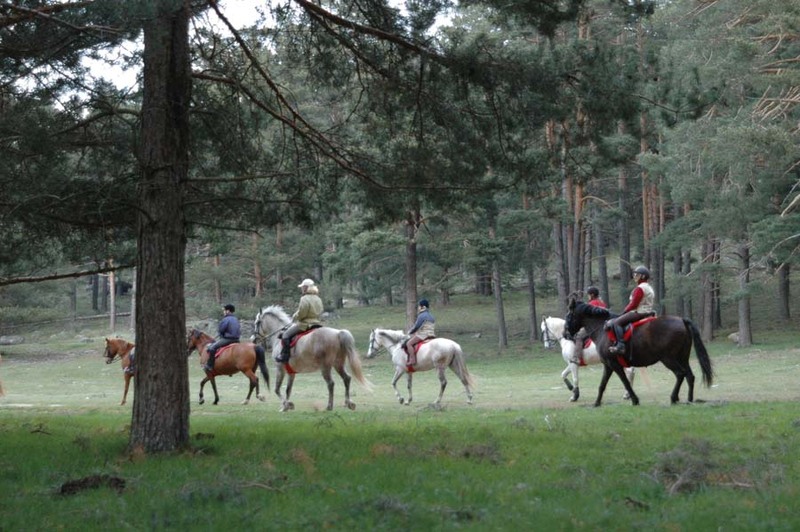 Good trots and canters in the morning by the flat Corneja River Valley, with lunch beside the river. In the afternoon you will ride over the mountains. Night and dinner at hotel. 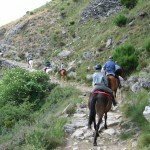 You will ride up the highest place of the ride with a magnificent view of the Alberche river valley and San Martin de la Vega. 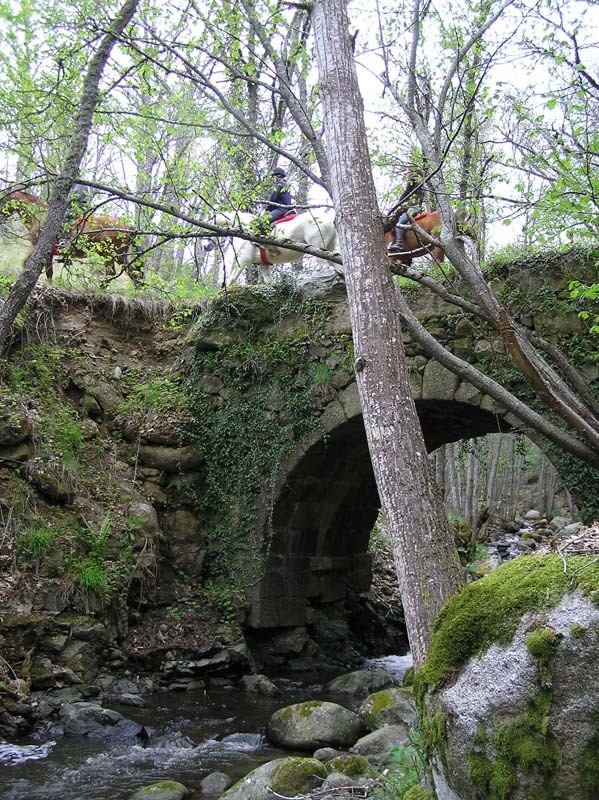 You will cross the river and continue to the Tormes River valley. Lunch with the views of the Gredos Mountains. 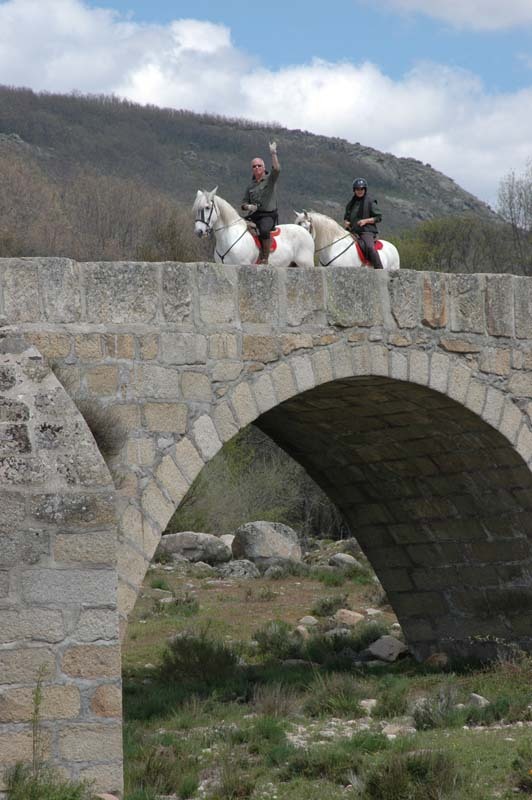 An afternoon of good canters to finish the ride.Night and dinner at National Parador hotel of Gredos. Breakfast at hotel, departure at around 10 am to be at Madrid airport for midday.